Spring is here, and so is Baseball if you reside in the states. There have been a dozen new mobile Baseball games released already, but today we are going to take a look at MLB Manager 2016. The popular Baseball simulation game has made its way to Android for the second year, and is definitely worth your time if you live and breathe fantasy baseball. 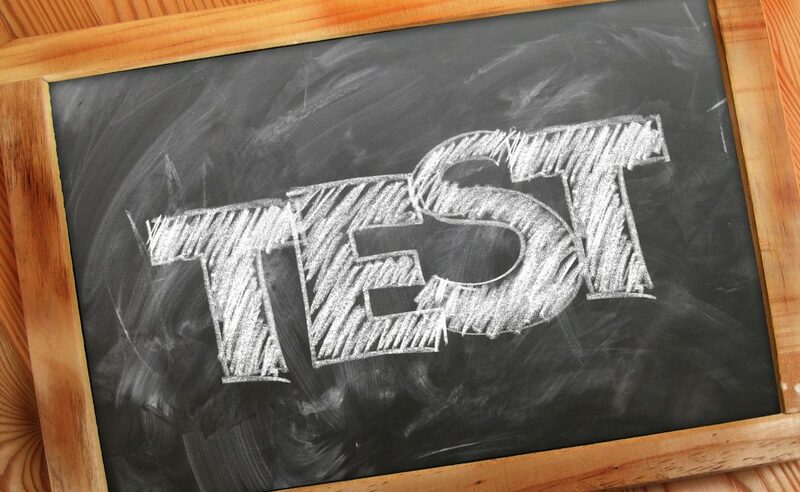 While it may seem boring to some, simulation games are extremely popular, especially in the sports world. You can find a simulation of almost any sport you can imagine but for Baseball, the MLB Manager series has long been at the top of the heap. The MLB Manager 2016 game essentially follows the same path set by last year’s edition, but with a few minor changes and one major flaw. When you first fire up MLB Manager 2016, you’re prompted to set up your team, assign a manager name, etc… The game is stocked with current MLB players and teams, so you are ready to roll out of the gate if you want a true simulation. Alternatively, you can customize things and there are three game types available with MLB Game, Historical MLB Game, and Fictional League. Once you are properly setup, things get deep as MLB Manager 2016 is by far the most in-depth simulator we’ve ever come across. Everything is broken down into sections, and as manager, you’ll be able to do everything from tinker with lineups and in-game strategy to offering up trades that could change your franchise’s future. As mentioned, there is a ton to pick through so it can be intimidating to newcomers, but once you get the hang of things it’s easy peasy. Unlike many sports, baseball has a massive minor league system, which we’re pleased to say is represented in MLB Manager 2016. In addition to managing your major league players, you can promote folks to the big leagues or send someone down if they underperform. You’ll want to tread cautiously, though, as players moods can be fickle, and if you’re not careful you’ll soon find yourself with an inbox full of letters from angry players asking for a trade. While we only ran through seasons in the regular mode, MLB Manager 2016 has plenty to offer in the classics department. You have the option to buy “seasons” from within the game or you can import seasons from last year’s mobile port as well. The seasons come in bundles or by the year and cover 1901 through modern times, which is listed at 2005 and up. That’s a whole lot of baseball, and the single seasons clock in at $0.99 each. 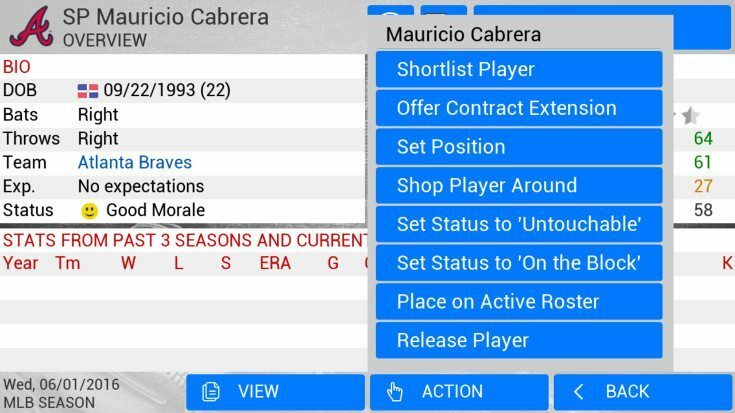 As for the bundles, MLB Manager 2016 has some interesting choices for baseball fans. You could opt for “The Great Collapses” bundle, which offers up teams from years including 1908, 1938 and 2007 among others or go for something a bit more specific like the Giants & Dodgers greatest hits bundle. 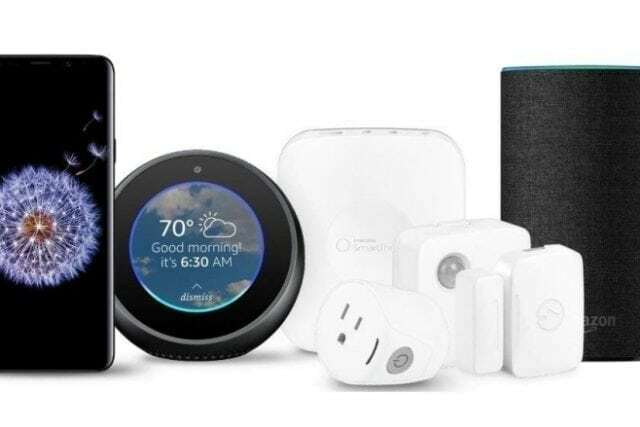 Those are listed at $4.99 a pop, but there is an “All Seasons” bundle for $14.99 as well. 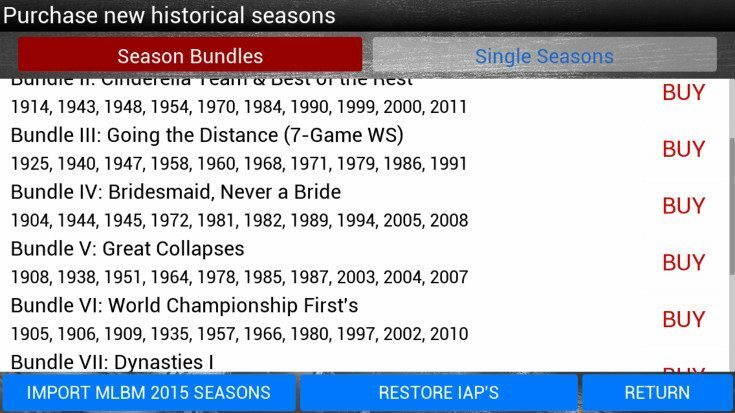 Some gamers will probably balk at the amount of IAP’s in MLB Manager 2016 as it is a paid game, but those prices are fair if you dig historical players and teams. MLB Manager 2016 is the game to get if you love or have longed for a great mobile baseball simulator. It’s essentially the same game as last year’s port aside from a few changes, but it also has the same issue that came with MLB 2015 as well. Many users have reported issues with “touches” not registering, which is a huge problem in a game of this nature considering you have to constantly flip through the menus. 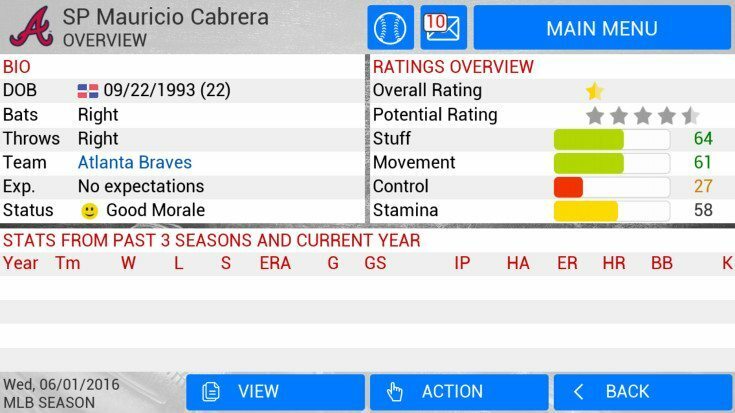 While I did experience that with last year’s version, thankfully MLB Manager 2016 ran well on my Galaxy S6 Edge Plus, with no issues in that area. 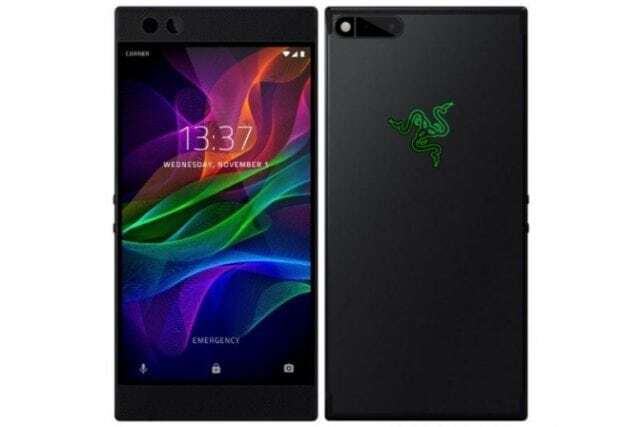 It could be a device specific problem, but it’s something to keep in mind considering the price of the game. 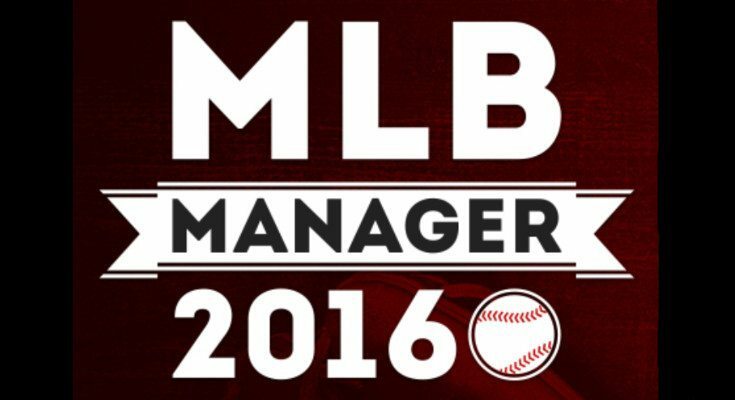 If you’re interested in MLB Manager 2016, you can pick it up for $4.99 on Google Play or the App Store.